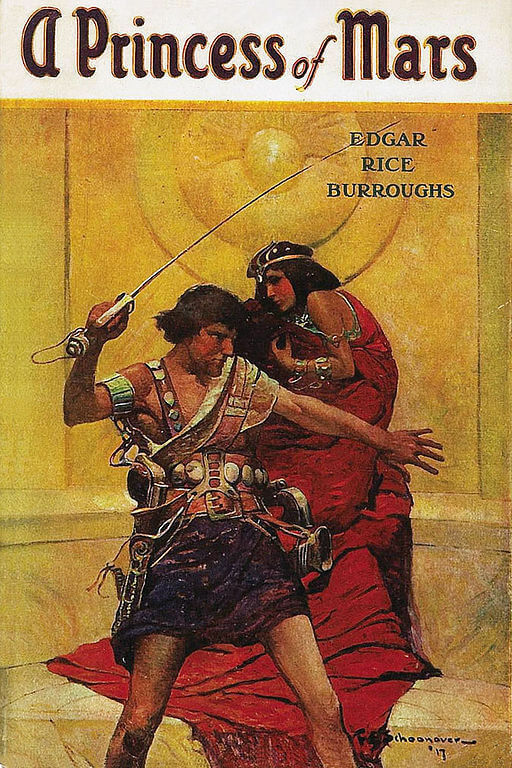 A Princess of Mars (1912) is a science fantasy novel, the first in Burroughs' Barsoom series. It was published in All-Story Magazine from February – July, 1912, and as a novel in 1917. We feature it in guide to Science Fiction. Return to the Edgar Rice Burroughs library.